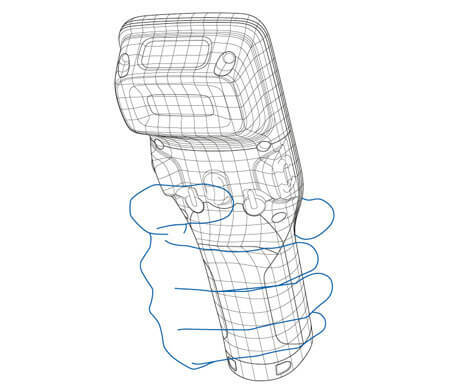 A handheld terminal using an Android platform with ergonomically optimized details and 30 hours of continuous operation. It makes life easier for everyone: Users benefit from ergonomically optimized details, a bright 3.2-inch LCD display and 30 hours of continuous operation. Thanks to Android 8.1, developers can easily find third-party apps or create their own applications. Depending on the model, the device is equipped with an 8-megapixel camera, NFC technology, and LTE. IP67 and 3-meter drop resistance make the terminal fit for use under tough conditions, for example, in transport, shipping, and warehouse logistics. Thanks to a rubberized surface and optimum weight distribution, the CASIO DT-X400 always sits comfortably in the hand. In addition, the scanner is angled at 25 degrees. This makes it easier to read the display when scanning. 4 trigger buttons make it possible to trigger the scanner in any position and posture. Small details ensure that working with the CASIO DT-X400 is easy. 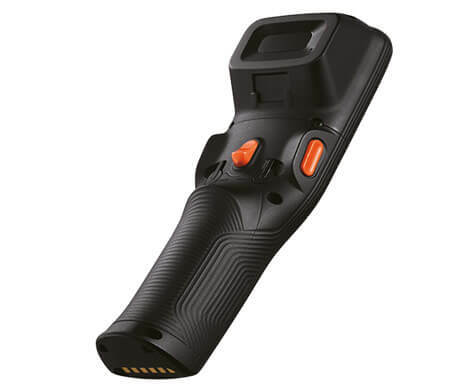 Such as the bright 3.2-inch LCD display, which can be read even in bright sunshine and has a resistive touch panel for input with a pen or glove. Freely assignable function keys can be used to store frequently used functions, and the optional camera is installed directly next to the scanner in order to keep the usual handling. 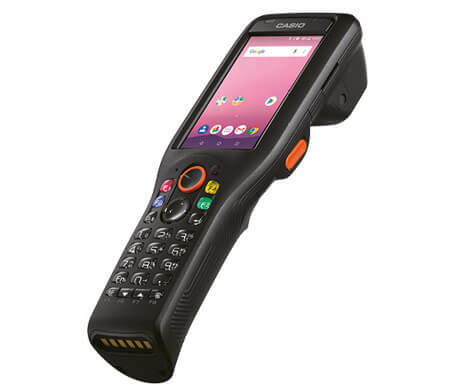 The CASIO DT-X400 is ideally suited for the tough everyday work of the warehouse and logistics sector. In accordance with its IP67 protection class, dust and water stand no chance. The terminal also takes no damage when dropping from shelves of up to 3-meters-high. And thanks to high-quality batteries and an efficient electronic architecture, a continuous operating time of 30 hours is possible. 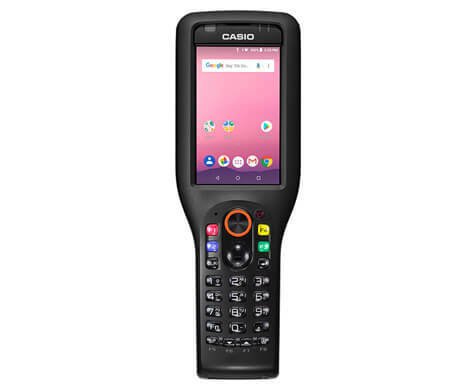 The CASIO DT-X400 supports Bluetooth 5.0 and can be coupled with a headset. In addition to the standard W-LAN module, a W-WAN module (LTE) is also available for real-time communication outside buildings and GPS for position determination. Optional Near Field Communication (NFC) completes the equipment. With Android 8.1, the terminal is ready for any application. A Qualcomm 1.3 GHz Quad Core processor and 2GB of RAM make the CASIO DT-X400 fit for any industrial application. The state-of-the-art Android 8.1 operating system not only opens up a wide range of existing third-party applications, it also makes it easier for developers to create their own tailor-made apps. Audio: Built-in microphone (mono) and speaker for signals and audio warnings etc.